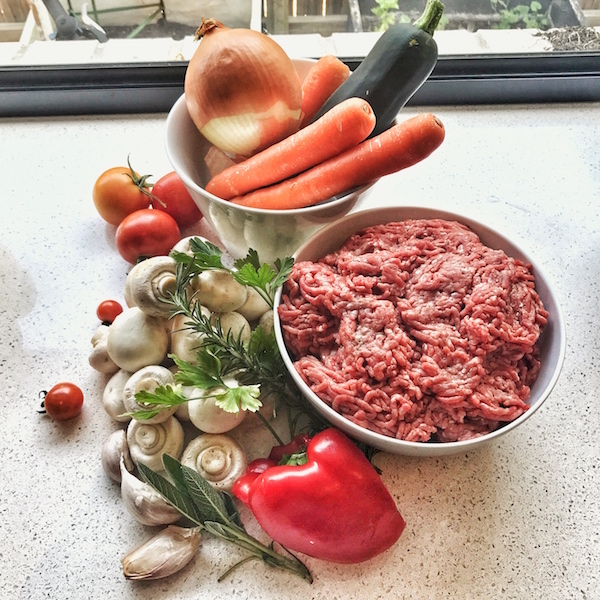 We had left this off the list for so long because we thought that everyone had a Bolognaise recipe, but when we started testing it, people just kept asking for it. It’s full of vegetables, antipasto and flavour and is great to freeze in ziplock bags for those nights when you just don’t have time to think. You can cook up some pasta, pop it in a jaffle iron or serve it over zucchini noodles. Did you know we offer those as a side? This dish is by a lady in North QLD called Jo Whitton, or Quirky Jo to her fans. She deserves all of the credit for putting this amazing dish together for us. Beef, tomatoes, onion, garlic, vegetables, herbs, semi-dried tomatoes, olives, mushrooms, balsamic vinegar, sugar, tomato paste, red wine, olive oil.